Well, if you are part werewolf and part historian like me, you are certainly aware of the fact that we have just experienced a hunter’s moon.The native Americans took this full moon in October as a signal that it was time to start hunting and curing meat for the winter months. They didn’t have microwaves and grocery stores; so they relied on nature and instinct for survival.They also did not have Washington looking after them, and that was a good thing. I don’t know about you folks, but I am mighty glad that the circus in Washington has closed –at least temporarily. Our forefathers also knew how to live off of the land. Have you ever been asked the question,”why do you hunt”? I have, and I think that this hunter’s moon has helped me define my answer. I hunt for the same reason that I eat and breathe. It is in my DNA code, and it is a part of who I am and my heritage. Hunting also gives me a connection to the land, a connection I can’t ignore. I feel sorry for people stuck in front of televisions or computers who no longer relish the changing of the seasons and the richness and smell of the earth. We hunters hunt because we love the outdoors,we love the excitement and challenge, and we enjoy eating what we are fortunate enough to bag. 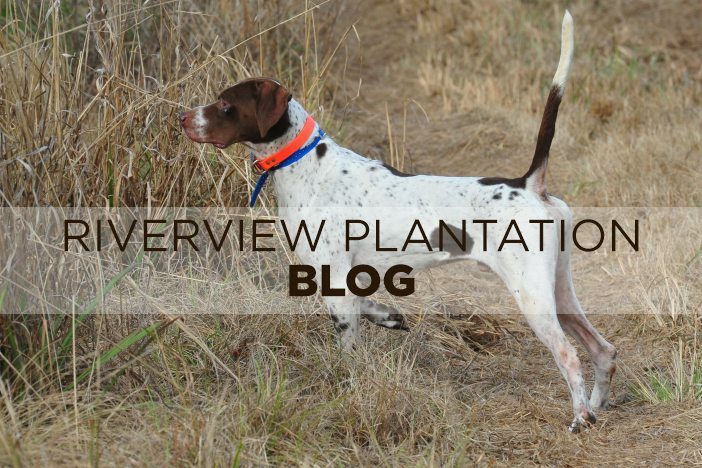 In conclusion, let me just say that this is our first week of the quail hunting season at Riverview. God has blessed us with a crisp fall weather for our opening week. We got just enough rain to make the scenting conditions good for the dogs, and we have had some hunters actually manage to shoot a quail. I am tickled for that because I am real tired of my guides shooting birds under the guise of “dog training”. We had better have some of the best handling dogs in years based on the amount of shooting I was hearing last week in our final preseason tune up prior to the real thing.If you have not booked your hunt for this season, i would encourage you to call soon. Open dates on our reservation calendar are disappearing fast!